The view from 50°0'N 8°16'E Moguntiacum, Magenza, Mayence, Määnz, Meenz, Mainz. Since 2007. 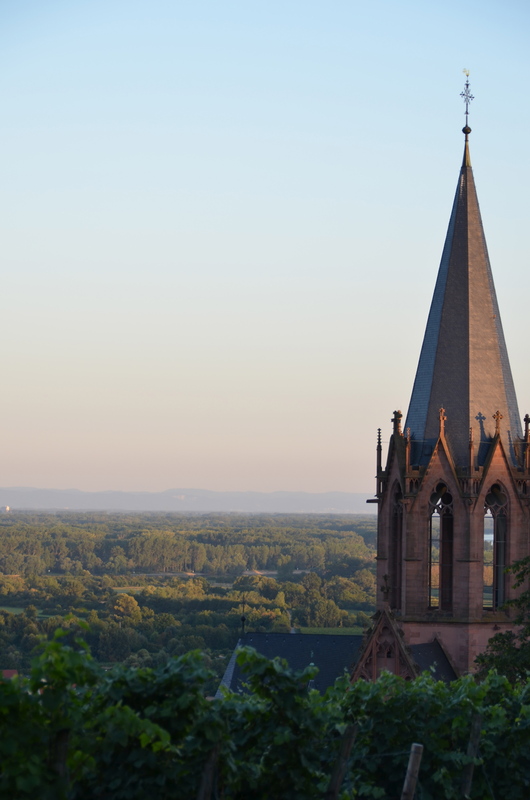 The Katharinenkirche in Oppenheim spoiling a late evening view of the Mainz Basin, a tertiary marine basin that for a time (shortly before we moved here, actually…) linked the North Sea with the Paratethys ocean. The Rhine’s a mere trickle these days…. 26 Sep	This entry was published on 26 September, 2012 at 13:00 and is filed under Architecture, History, Landscape, Mainz. Bookmark the permalink. Follow any comments here with the RSS feed for this post.